A new member has joined the Mouse family - Mouse bench. For hallways, kids rooms and other play corners in the home. 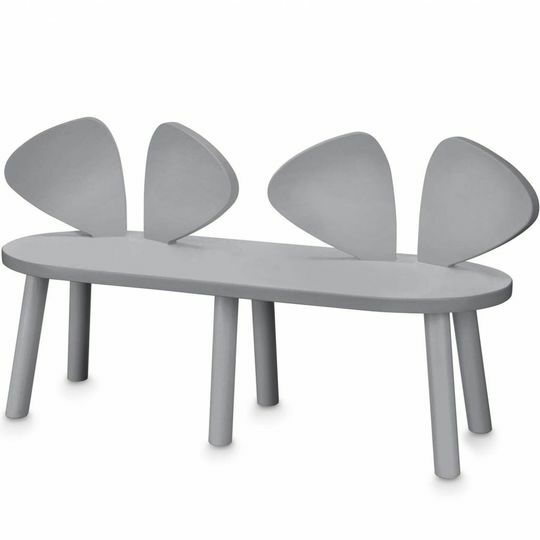 The newest member of our favourite furniture family is the Nofred Mouse Bench, a pairing of two sets of ears along one seat for sharing. For hallways, kids rooms and other play corners in the home, this is elongated kids’ seating for the tying of shoes, the whispering of secrets and for lining up dolls all in a row. Continuing the line of iconic Danish design furniture for kids this children’s bench is available in three colours and has been designed to sit comfortably with other kids chairs and table from the Mouse range.